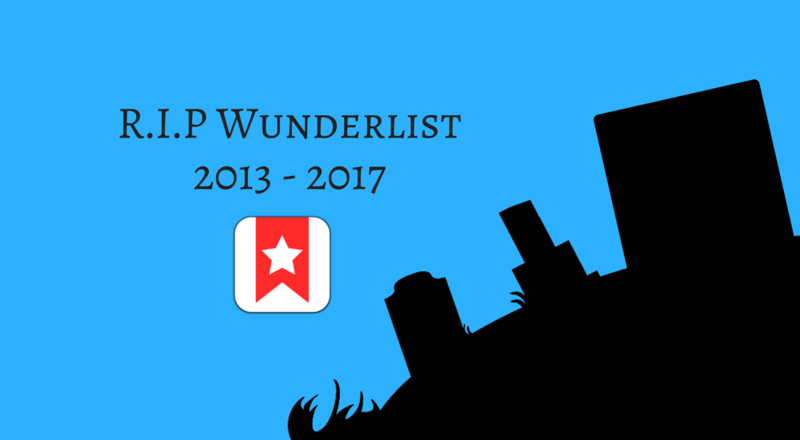 By now, if you were ever going to care about this, you probably heard that Microsoft will soon be shutting down their beloved Wunderlist app after acquiring it in 2015. In its place, Microsoft is introducing what they’re branding as Microsoft To-Do, and this has caused some stir in the community. This comes as something of a blow for the fans of the popular Wunderlist, currently standing at a 4.7/5 star rating on iTunes, and 4.5/5 on Google Playstore. Meanwhile, while Microsoft To-Do is still in preview mode, fans of Wunderlist are keeping note of the fact that it offers few of the features that made Wunderlist so popular in the first place. Windows is definitely confident that they’ll win the user base back though. All updates on Wunderlist have stopped because the team behind it is now hard at work to include features into the new To-Do. So here are some things from Wunderlist that Microsoft should highly consider incorporating into their new wunderkind if they’re going to win Wunderlist’s fans back over. Out of all the functions available To-Do, the standout of them is ‘My Day’, which starts you off every day with a blank slate, and uses what it calls ‘Intelligent Suggestion’ which analyses your behaviour and recommends things to do based on what you prioritise. Slightly reminiscent of Wunderlist’s Smart Lists, if tasks aren’t complete, they won’t disappear but chill in the suggestions tab, ready to be added to one’s day. It’s a way for users to plan their day easily without the anxiety of seeing an ever-growing list of cluttered to-do’s, while also being able to prioritise the tasks that really matter to them. And the key reason that Microsoft is reworking Wunderlist is this: to offer built-in integration with Office 365, though you won’t need an account to be able to use To-Do. For now, To-Do already offers integration with Outlook, and the fans are hoping with bated breath that more will be integrated, because to-do lists come from more than just email. One of the things that made Wunderlist great was the ability to share your lists with someone else. You could make travel plan to-do’s together, create a task sheet that you can share with others, or with the paid version, delegate tasks to either kids for their chores, though lets be real, it was always for a more professional setting. And like Google Docs, the lists allowed you to collaborate together as long as everyone had a Wunderlist account. Admittedly Microsoft has already made known their plans to incorporate this popular feature on its upcoming To-Do, and this is great news. The sooner they can integrate this function into To-Do, the better people are going to feel about the shift. Another one of Wunderlist’s well-received features is the ability to organise your to-do’s further into sub-tasks, and then organise those into folders. It was a great organisational ability that allowed you to group your relevant tasks together, and for those people who lived and died by these lists, it was a great way to split their responsibilities between work and home, and declutter the look of the whole thing. And as another simple ability, I would also like to be able to move my tasks up and down a list, because I don’t always think in order, and it slightly defeats the purpose for me to plan ahead on a separate piece of paper before I can key them in the right order on To-Do. Though considering To-Do’s daily clean-slate concept, we might unfortunately not be seeing the ability to group tasks soon. As My Day shows, Microsoft’s angle for To-Do seems to err more towards prioritisation than organisation, and the concept of sub-tasks and folders, unfortunately, might not suit the angle that Microsoft is going for. But of course, one could always hope. Microsoft integrates with Outlook Tasks, and has paid lip service to the idea that they will allow integration with other Office apps down the line. But just as Wunderlist has integrated with Zapier, Slack, HipChat and Google Now, there are definitely avenues for To-Do to sync across more third-party platforms; Zapier especially, because it automates the integrations to different apps like Google Calendar, Evernote, and many more apps. This is because your to-do’s can’t possibly just come from Office. The general to-do list user incorporates more than just one organisational tool to keep their productivity up. Furthermore, Wunderlist has the ability to import your to-do lists into calendar apps like, of course, Google Calendar. For heavy users of calendar apps, they may prefer their notifications of any deadlines to appear in there rather than separately in their To-Do app. To-Do has a delightful feature that allows you to set an array of pre-set themes for each list, and since this is a preview, there is a possibility for them to make this a fuller experience in the future. The appeal of separating your lists by different themes is obvious. We would want to set a fun vacay theme to look different from serious office-work, but sometimes, all you want is a similar, and nice-looking theme than encompasses all of your lists. The Microsoft team could also consider including a feature where we can upload our own pictures for the themes. It just adds a nice little bit of personalisation. Considering that the team behind Wunderlist is working behind-the-scenes on Microsoft To-Do, we still yet have high hopes for the app, especially since it still stands as its own thing. After all, Microsoft has a bit of a track-record that they need to break when it comes to acquisitions. And since Wunderlist is such a beloved app, Microsoft To-Do has some big shoes to fill. For now, Microsoft is still gleaning feedback from users about which aspects to include in the new To-Do, so perhaps this list may serve as our little way of letting them know.